There is a pleasure in the pathless woods, there is a rapture on the lonely shore, there is society, where none intrudes, by the deep sea, and music in the ITS roar: I love not man the less, but Nature blackberries. Few months ago, while I was rearranging shelves of my room, I came across a book that I didn't remember to have: Into the Wild, by Jon Krakauer. For those who didn't have the opportunity to read it (i highly recommend to do it), the book tells the story of Christopher McCandless, a young American boy, who finished the university and decided, unbeknownst to the family and his friends, to take a long journey into nature abandoning civilization and running away from a consumerist and capitalist society in which no longer bear to live. I don't know whether it was the cover image to appeal to me or the fact that I didn't want to re-order anymore, but in a few minutes I was sitting on the floor, completely absorbed in my reading, and after a day, book finished, I wanted to have a backpack and set off immediately. Because the feeling you get after experiencing Christopher and his story is this, you can not help but reflect and a question arises: what is my relationship with nature? I would be able to fully immerse myself in it, only live life, at that time in that place, no phones, no internet, nothing, just snow-capped mountains, rivers, starry skies, just me in the wilderness? The case wanted that in that same period me and some friends were planning summer vacations and it seemed a good time to take up the challenge and take advantage of those ten days, free from university exams and work, to experience something different, not the usual holiday with all the comfort and technology always at hand, but something more lively, away from the monotonous security to which we are used and closer to an unconventional adventure. 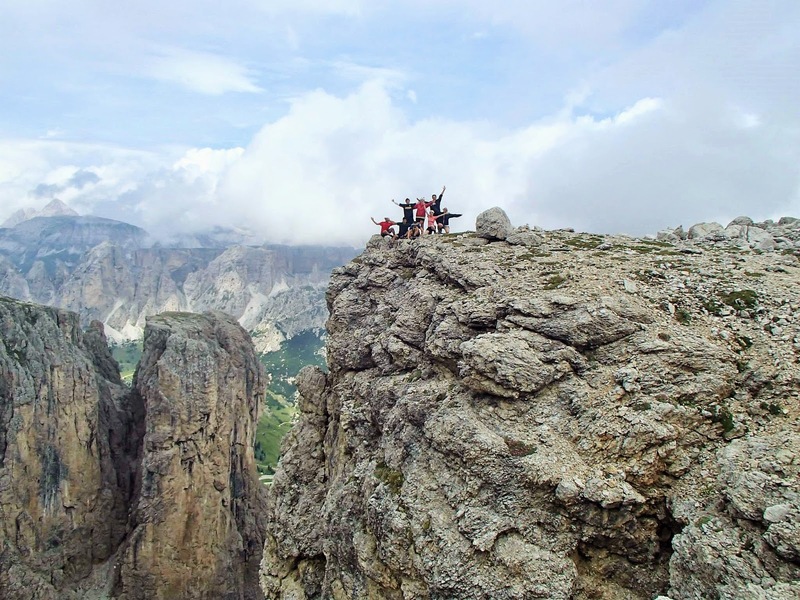 Once the friends were convinced, the choice of location was easy: what better place of Trentino-Alto Adige and its Dolomites? 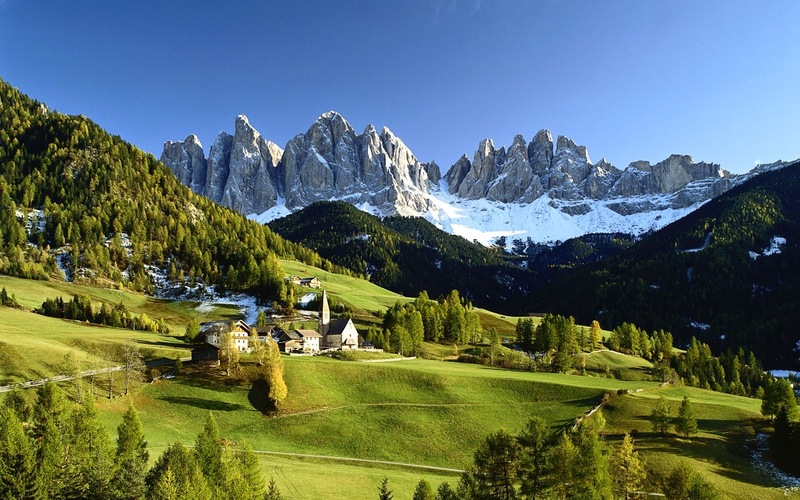 Set of mountain ranges located in northeastern Italy, the Dolomites offer to their visitors a number of hiking paths called “Alte Vie”, which have a historical, geographical and cultural valency. Our choice fell on the Alta Via number two that comes from Bressanone to Feltre for a total of about 185 km, a total climb of 11,000 meters and 6 mountain ranges crossed, not exactly Christopher's Alaska, but a nice challenge! Now, ignoring the details about the preparation, the trip , about how hard it was to put up a tent in the middle of a storm on the top of a mountain, or climb a rockface with a backpack of 16kg on the shoulder, I believe that reducing life to essentials, free from the burden that we have in excess, not only the material one but also mental and emotional stress, let it go and live everyday under a new and different sun, is a really great feeling. At first, of course, it will seem strange and unsettling, set off with no certainty can be scary, but once taken the first step there is nothing more beautiful and inspiring. Because in today's world, with frenetic rhythms , in which the imperative is to have everything at once, in which we can no longer do without the technology and all the comforts that, imperceptibly, change our lives and limit our skills, where it's becoming difficult even finish a meal without having checked the phone and the dialogue and relations with people are minimized, immerse themselves in nature is a choice not only radical, but also beneficial and necessary, if we want to remind where we come from and what we are actually able to do, to understand better ourselves and the environment. Ask me why I go to the mountains. Ask me why, when the rest of me is tired, the only way is the path. Because in the mountains you can not waste your breath for useless words. You have to keep them to get to the top, there is only space for silence or kind words. Because the only weight is the backpack. There is no burden on the heart. Because everyone, if they wish, can get to the top. Just step by step. Because meet people who find a moment to say hello. Because there are no frills: just you and your body, you must love it if you want to have the forces. There is the sky with his moods. Do not mess with the rain, wind, snow or night. You must be very careful, and return to the primitive stage in which nature and her movements were part of your life, an integral part of your daily life. You can not snub the nature, in the mountains: it pulls you by the sleeve, asking you to look at it, study it, to be present. In the mountains you can and you have to be yourself, no distractions. Maybe that's why, over many peaks, mobile phones and internet work in fits and starts ... it is nature that says, "Let it go, let go the superfluous. Stay with friends. Stay with animals. Stay with yourself. You don't need anything else. " 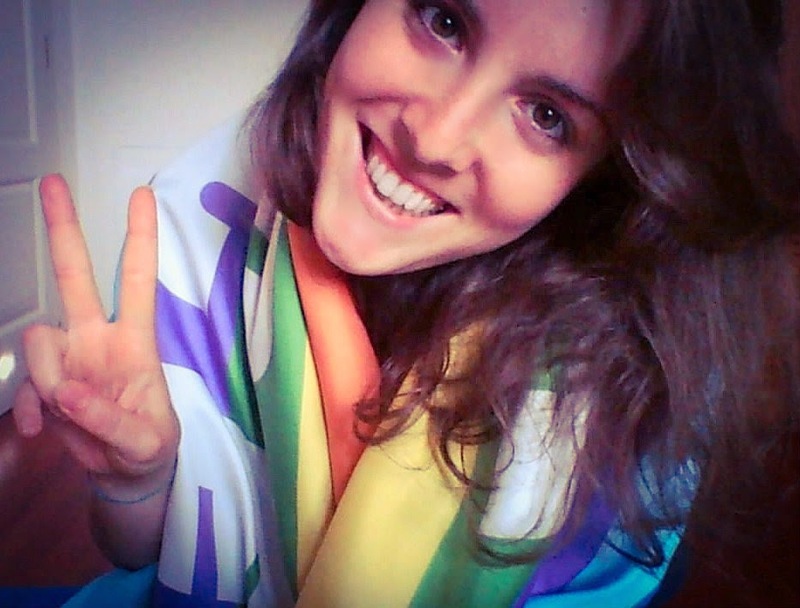 Martina, 23 years old, Italian. Aspiring social educator, calm, dreamer, lover of music, nature and outdoor life, but especially addicted to travel and to everything that allow us to make new experience. I found myself dreaming of being elsewhere..why, however, do not go there?